Homemade ice cream in the winter? Of course! 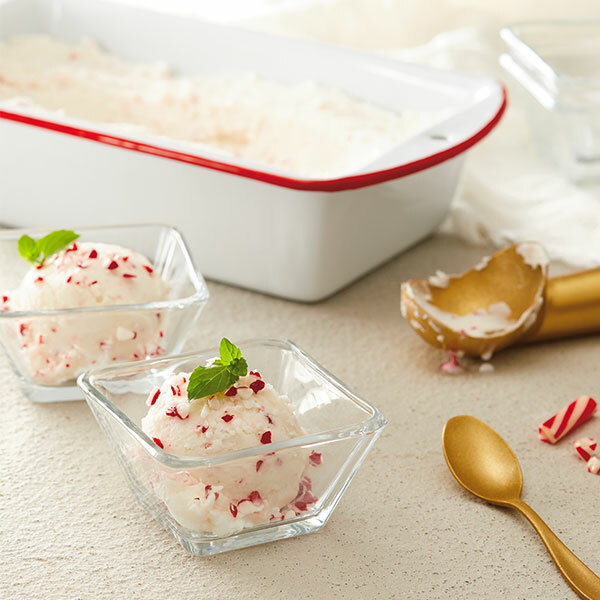 Easy Homemade Peppermint Ice Cream makes the perfect topper for warm brownies, Christmas cookies, and gingerbread people. Or you could drizzle it with hot fudge sauce. Or plunk it in a mug of hot cocoa. You don’t need an ice cream maker—just four simple ingredients and an open spot in the freezer. Time to crush some candy canes! Chill a mixing bowl, then whip the heavy cream with an electric or stand mixture until it becomes stiff, approximately 2 minutes. Fold in the condensed milk, peppermint extract and crushed candy canes. Do not over mix. Pour into a container and freeze for at least 6 hours before serving.